Tokyo Midtown celebrates the 2017 Design Touch festival this year—a month-long event where various studios come together to show off experimental design models. 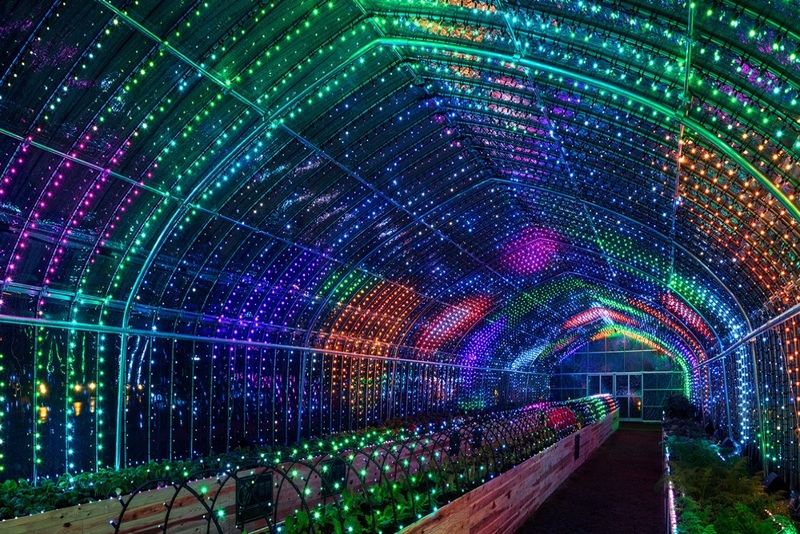 Multinational studio PARTY created a light show in a greenhouse called Digital Vegetables where lights are activated when a visitor touches one of the plants inside the facility. When a visitor approaches one of the plants, the LEDs attached to it light up along with an array of sounds, such as seeds rubbing together, leaves touching, someone eating a fruit and orchestra instruments playing. The lights were chosen to represent specific aspects of the plants and all of the plants have a unique sound and light sequence. PARTY’s aim was to connect users to the plants in a unique way. The greenhouse facility will open its doors on November 5 in Tokyo Midtown.